Saturday’s events at ALAC involve talks and performances by artists who engage with methods of intervention within public space. At 11:30am, New York-based artist Ben Fain, who works mostly in the public sphere, will screen work from the past fifteen years followed by a conversation and question and answer session. At 3pm, Carmina Escobar will perform her piece Passing Through Dimensions, starting at the ALAC Theatre, where she leads the public in a performance that turns the Art Los Angeles Reader into a musical instrument. 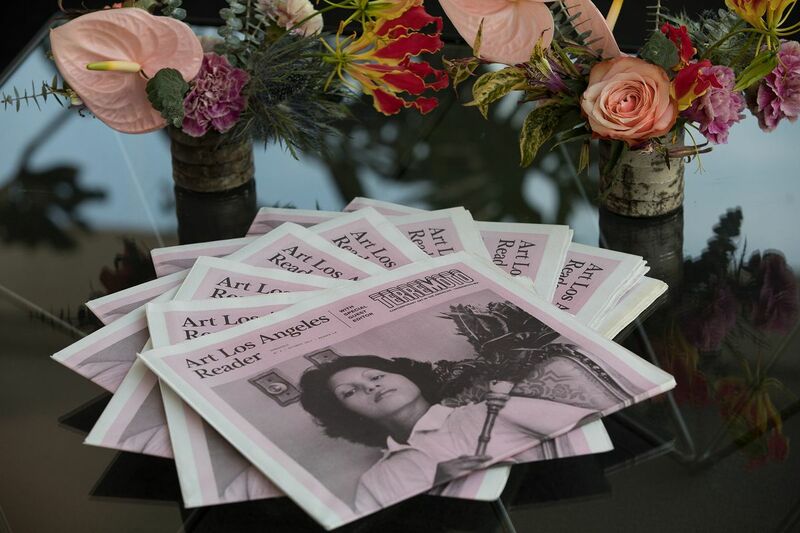 Art Los Angeles Reader No. 4 at ALAC 2018. Photo by Michael Underwood.